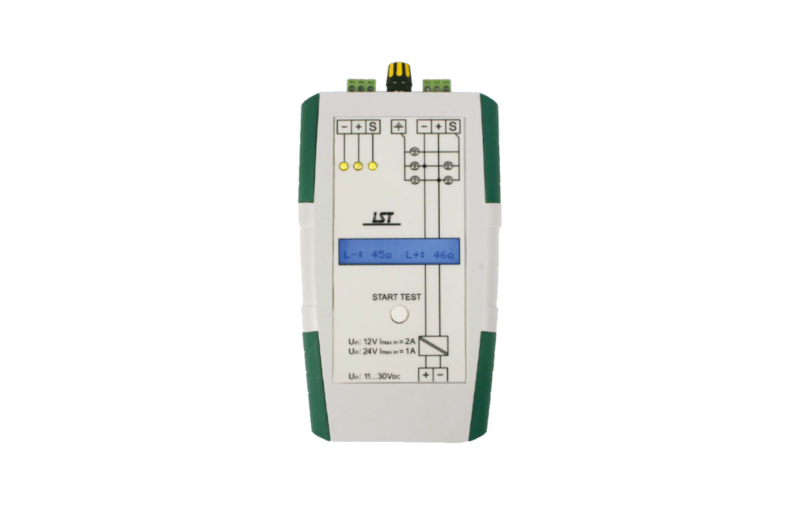 The Loop Tester LTG30-1 helps in commissioning and maintenance of fire detection systems in loop technology. By means of the loop tester, a completed loop can already be checked for possible line faults and wiring faults before the loop is connected to the fire detection control panel. • the loop voltage at the end of the loop. Three green light emitting diodes indicate the proper connection of the loop lines and of the shield. Possible insulation faults are indicated by 5 yellow LEDs. The resistance values of the loop lines and any error messages are shown on the liquid crystal display.The delivery scope includes the necessary measuring lines with alligator clips as well as a plug-in power adaptor as power supply.